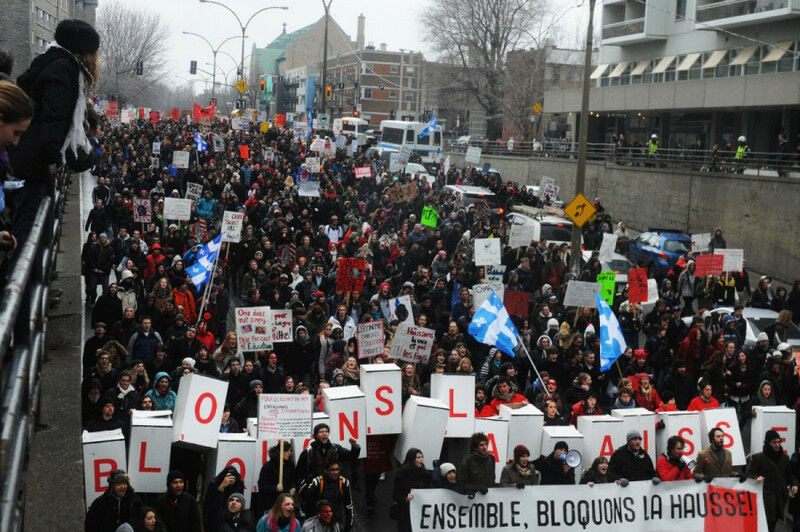 After a boisterous but peaceful protest that started in Philips Square at around noon, the crowd split in two in front of the Berri-UQAM Metro station on Berri St. and Ste. 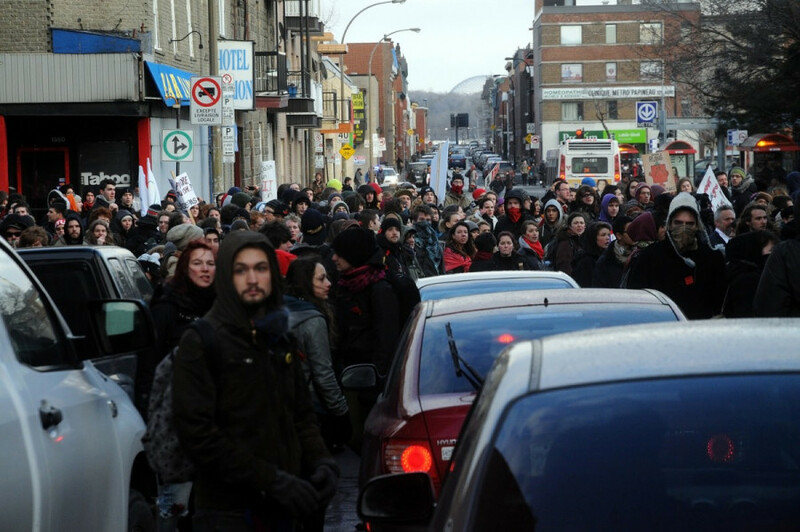 Catherine St. E.
While both groups headed towards the bridge, only one made it on, where they were met by Sureté du Quebec riot police. According to one of the event’s planners the decision to split up after the protest reached its end at Berri Park was spontaneous, though he said he was not sure if the occupation of the bridge had been planned beforehand. 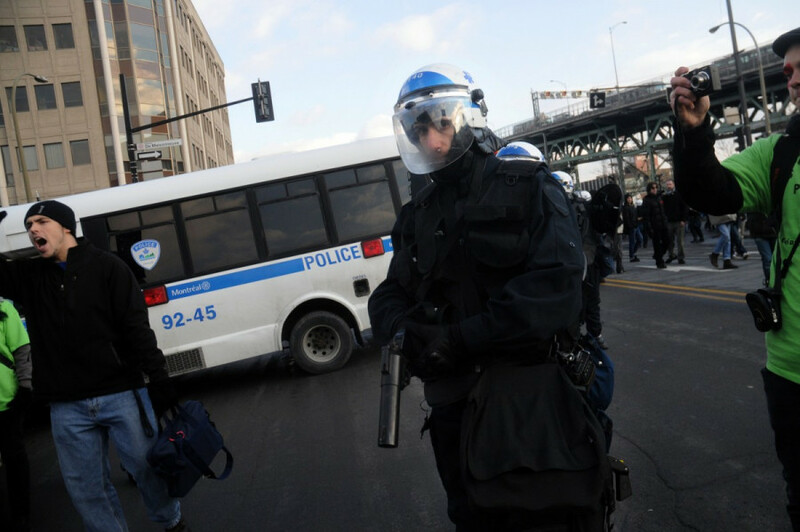 When the second group attempted to join those on the bridge, the Service de police de la Ville de Montréal blocked them off, directing them on a circuitous route through downtown and neighbouring areas, before the protest ended back where it began. Though there were no arrests, a brief altercation did take place when police blocked a group attempting to head north on Dorion St.
As protesters attempted to pass the blockade, riot police responded by pushing back with their shields and two bursts of pepper spray. “We were made a line and were just staying there when the others started to advance,” said François Martin, a protester who had to rinse the spray out of his eyes. While many of the students who attended are already on strike, Concordia’s undergraduate students will be voting for their own strike mandate on March 7. The vote will determine whether Concordia students want to go on strike from March 22 to March 29. MobSquad member Tristan Wettstein is trusting that students will decide mobilize. “The first week after the Spring Break is going to be very intense. With the numerous department general assemblies and the library sleep-in we may expect a spontaneous explosion of participation and enthusiasm similar to November 10th”. Though the total turnout was large, according to Concordia Student Union President Lex Gill, only 50 to 60 Concordia students attended. 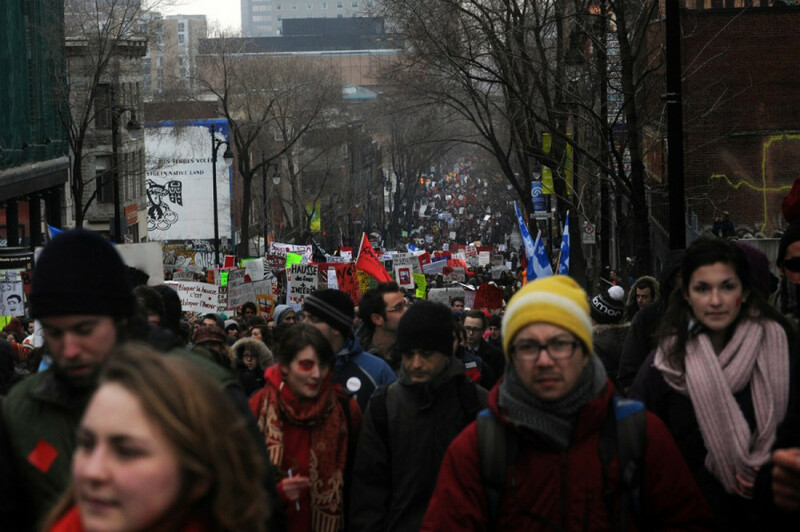 She attributed the low numbers to the fact that the protest took place during Concordia’s reading week.